What happens to the fullness of our skin as we age? Hyaluronic acid is a naturally occurring substance in our skin that provides fullness and elasticity. As this substance diminishes with time, the skin loses its volume, creating wrinkles and folds. Replenishing hyaluronic acid with Restylane® and Perlane® can revitalize the face and create a youthful look. Restylane® and Perlane® provide rejuvenating cosmetic beauty treatments for a natural, younger-looking you. Restylane® is the world’s best-selling dermal filler. It is well tolerated, nonsurgical, and long lasting (up to six months). This dermal filler can be used almost anywhere that you want a fuller skin appearance. Restylane® or Perlane®. What’s the difference? Restylane® and Perlane® are both composed of hyaluronic acid. Perlane® has larger gel particles and is intended to be injected deeper within the skin. The denser formulation of Perlane® allows for added lift and fill, and is designed for more pronounced facial folds and wrinkles. 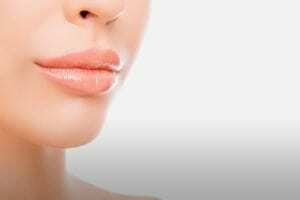 Some bruising and swelling is normal after dermal filler injections. There may even be some “lumpiness” at treatment sites. This usually resolves within 1 week. In the meantime, avoid any type of facial massage for at least 48 hours after the procedure. Avoid exercise which increases your heart rate for 24-48 hours after procedure. Wash your face gently following procedure and apply make-up normally. Try to sleep on your back, if possible, for the two nights following your procedure.